Want to upload an image as your profile picture on Facebook? This guide will show you how to do it. 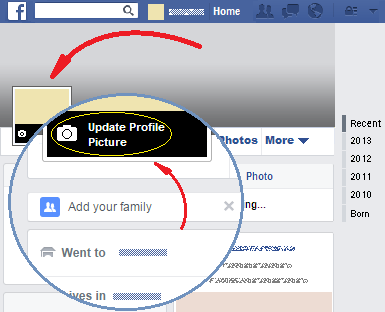 Once you have done that, hover your mouse over your profile picture and click on the appearing “Update Profile Picture” message. By doing this, a window will appear. In its upper part, click on the “Upload Photo” option. This will show you another window in which you have to select the photo in your computer that you want to upload. Do it, and finally, click on the “Open” button. This way the image you selected will become your profile picture on Facebook.